“Many coaches have asked me what they can do to help the people of Houston and I came up with this idea: for all men’s and women’s basketball programs at every level everywhere please send me 20 tshirts and 10 pairs of shoes and we will distribute them to people in need in Houston. If you can’t send that much, send what you can. 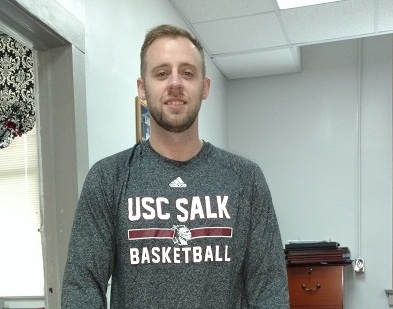 USC Salk head men’s basketball coach Jake Williams with his box of t-shirts for Houston.